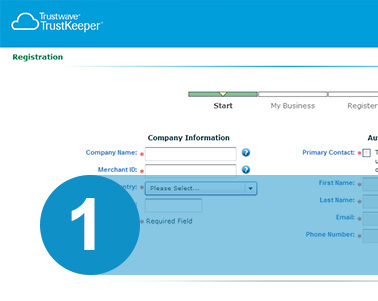 Getting Started with TrustKeeper® is easy. Welcome to the Wind River Advanced Security Package. This program is designed to help you understand and respond to the data security needs of your business - especially if you accept credit cards for payment. To get started, you simply need to register. The PCI wizard will walk you through the self-assessment process. Wind River’s Advanced Security Package includes tools and services that will not only better keep your organization secure, but will also allow for an easier PCI compliance process. By implementing the tools included in this package, answers for many of the SAQ questions will be prefilled. You could easily pay seven times more for these same capabilities if you purchased them independently and you don’t have to be an IT expert to install and maintain the tools. Products and services in this package includes Anti-Virus, File Integrity Monitoring (FIM), Malware Monitoring and Remote Access, amongst others. 90% of data breaches happen at small merchants - businesses like yours. A breach can cause irreparable harm to a business' reputation and customer relationships. A data breach can severely impact a small business, with financial burdens such as fines, fees, chargebacks, and investigation costs. Compliance helps build the right security to protect your customer data – preventing theft and fraud. 1Register by clicking Get Started. You'll need your Merchant ID number from your bank or merchant services provider. 2Answer a few simple questions about your business and how you accept credit cards for payment. This will tailor the program to your needs. 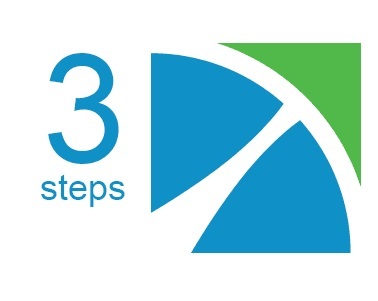 3Let the PCI Wizard help you complete PCI Compliance requirements step-by-step, and guide you with a To Do List of actions required to improve security and become compliant. Your Merchant ID or Merchant Account Number is your unique account number. It's typically found on your monthly statement or on the PCI Compliance letter you received from your merchant services provider. The PCI Wizard and task-tracking To Do List to help you complete the process easily. Vulnerability scanning of your Web site (if required) to identify network weaknesses. The Security Policy Advisor to help you design your own set of security policies — a requirement of PCI compliance. Easy-to-use online Security Awareness Education courses for front-line employees. 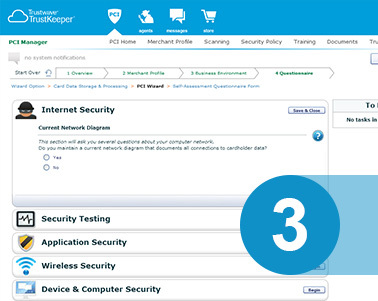 Access to the TrustKeeper Agent to detect sensitive data storage and provide ongoing compliance monitoring. Expedited support by phone or e-mail, as well as online help, tutorials, and education. Wind River Financial has partnered with Trustwave to help merchants become secure and PCI compliant. Wind River Financial believes helping customers with data security related to credit card processing is our responsibility and the right thing to do. As part of this commitment, we’ve partnered with Trustwave to help protect our merchants from a data breach. Reducing your risk is the goal of this program. We can help you navigate the complexity of the PCI standard, and meet the requirements for securing credit card data. 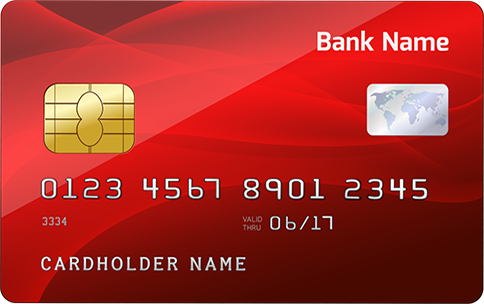 We will help you achieve and maintain the security of the cardholder data you handle. Consider us your secret weapon in achieving security and validating compliance. The Wind River Advanced Security Package includes access to help and advice when you need it. 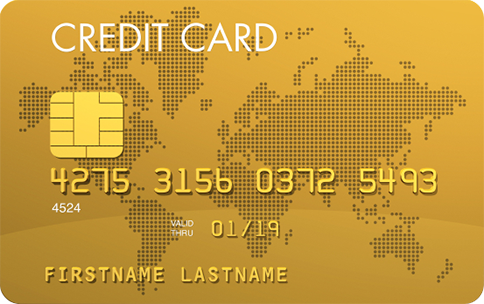 The Payment Card Industry Data Security Standard (PCI DSS) is a set of requirements for enhancing payment account data security to reduce credit card data theft and fraud. It applies to all merchants that accept or handle credit and debit cards, regardless of size or transaction volume. 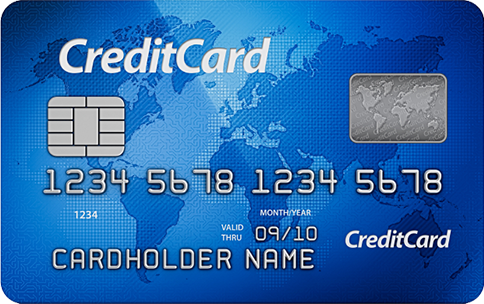 Who owns the PCI DSS standard? PCI DSS was developed by the founding brands of the PCI Security Standards Council (American Express, Discover, JCB, MasterCard, and Visa), to help facilitate consistent data security measures. The PCI Security Standards Council owns and maintains the standard - but the merchant service providers, such as your acquiring bank or credit card processor, enforce the rules and pass along financial penalties for any data breach. Yes. All merchants - regardless of size - that store, process, or transmit cardholder data must comply with the PCI DSS, including brick-and-mortar, mail order, phone order, and e-commerce. In over 90% of security breach investigations that involved theft of customer credit card data, the merchants were small businesses. This is an industry-wide problem, which the PCI DSS was designed to combat. No merchants are without risk. How long will it take to register? Registration takes less than five minutes. You will need your Merchant ID from your bank or merchant service provider. Look for it on a recent statement associated with your credit card processing account, or the letter that notified you about this PCI compliance program. Do I need to be an IT expert? You do not need to be an IT expert. The PCI Wizard will guide you through the self-assessment process. If you need help at any time, our support team is available around-the-clock, every day of the year. Trustwave is the leading provider of PCI compliance and data security solutions for the payment industry. 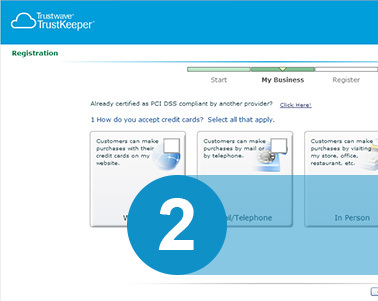 Our small-business focused solution, TrustKeeper® PCI Manager, has been designed with small businesses like you in mind. PCI Manager will guide you through the process, provide information, and resources so you can get secure - and then get back to business. TrustKeeper® support is available 24 x 7 x 365. For priority support for the Wind River Advanced Security Package, please call or submit your question.